Follow Your Heart was founded in 1970 by four friends and started out as a Market and Restaurant. 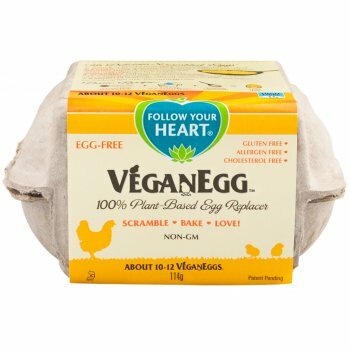 As the demand for vegetarian products increased, they began producing their own all natural foods such as Veganaise, Vegan Gourmet Dairy Alternatives, Follow Your Heart Salad Dressing and most recently VeganEgg, a dairy-free alternative to eggs. Follow Your Heart produce all of their goods in a solar powered factory they call Earth Island and make every attempt to ensure the production process is as environmentally friendly as possible.